Patrick Armstron in Russia Today penned a polemic on the Importance of Chronology. The issues he raises are so important that I will quote it in full. On Friday, about 24 hours later, Saakashvili announced that Georgian forces controlled most of South Ossetia and had “liberated” most of the capital Tskhinvali. (And here is a Georgian source for that). As justification for this sudden change, Saakashvili claimed the ceasefire had not held and that Russian aircraft had attacked Georgian troops. But, obviously, the Georgian invasion had been long prepared – and was probably underway while he was making the first speech. Among those killed in the initial assault were Russian peacekeeping troops who were there as part of an agreement Tbilisi signed after the first war in the 1990s and recognized by the Organization for Security and Cooperation in Europe (OSCE), by the way. (Here is a background essay on the OSCE deployment from the U.S. State Department). Then Russian reinforcements entered South Ossetia – to, it should be clear, the great relief and jubiliation of the population, several thousand of whom have fled across the Russian border into neighboring North Ossetia. Moscow has three motives for striking back hard: the last time Georgia went adventuring into Abkhazia and South Ossetia, a lot of people from the Russian Caucasus went down there to fight, including Shamil Basayev, who led a group of Chechens. Basayev later came back to Russia to start trouble and the first Chechen War began. Mr Johnson knows who Shamil Basayev was. Next, Russia is legally obligated to try and keep the peace in South Ossetia. Finally, a number of Russian soldiers were killed – according to Moscow, directly targeted by the Georgians who were serving alongside them in the South Ossetia peacekeeping force. Whether or not that proves to be true, there is no doubt that several Russian peacekeeping troops were killed by Georgian artillery fire. Russian forces began entering South Ossetia on Friday evening and here we are today. MOSCOW. 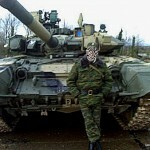 Aug 8 (Interfax) – Formations of the 58th army in the outskirts of Tskhinvali have suppressed the Georgian firing positions that shelled the city and the positions of Russian peacekeepers, assistant to the commander of the RussianGround Forces Col. Igor Konashenkov said to Interfax-AVN on Friday. “The firing positions of Georgian troops that had shelled the city of Tskhinvali and the positions of peacekeeping forces were suppressed by the ordnance and tanks of formations of the 58th army stationed in the outskirts of the South Ossetian capital,” he said. He said the Georgian side had used guns of the 122-mm and 155-mm calibers. “The Georgian troops that entered South Ossetia are within the range of the firepower of the 58th army units. In the future any shooting in the responsibility zone of Russian peacekeepers will be stifled,” Konashenkov said. Two easy observations give the lie to Saakashvili’s second speech. He claimed that Russian aircraft were attacking Georgian soldiers on Thursday – why then did the Georgian forces not space themselves out? That is the first thing soldiers do in such circumstances: they maintain a 50 meter spacing so that one bomb is not likely to take out more than one vehicle. The second easily observed fact is that the Russians had to move reinforcements into South Ossetia: if, as Saakashvili claimed, they started it, why weren’t they there already? The chronology makes what happened very clear: very shortly after President Saakashvili appealed for peace, Georgian forces opened indiscriminate fire on people he regards as Georgia’s citizens. The Russian reinforcements entered nearly 24 hours later. Now Georgia is declaring that it is pulling out: the question is what on earth did Saakashvili think he was doing or would accomplish? There is a certain resemblance to Kosovo here but Russia is not cast in the role of Serbia. 1. 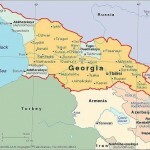 War in Georgia: Russian aggression against an independent country or an indiscriminate Georgian assault against Ossetians overlooked by the U.S. media? The Russian media has reported several quotes from South Ossetian refugees who escaped the ruined city of Tshinvali after it was shelled into rubble by Georgian forces on August 8, 2008. The quotes below allege many war crimes and answer this question better than I can. 2. What would the United States have done if a bordering country (let’s say Mexico) slaughtered 1,400 U.S. citizens and 10 U.S. soldiers overnight, leaving U.S. citizens by the tens of thousands without food and water? I assume that the United States would have destroyed every single landing strip, military plane and aircraft belonging to the aggressor nation within 48 hours of the initial attack. Russia still has not done that. Russia showed restraint from the first day of the conflict. First, Moscow asked the United Nations Security Council to condemn the actions of the Georgian military. Second, Russian leadership demanded that Georgian forces completely withdraw from the disputed territories of South Ossetia and Abkhazia. Besides diplomacy, one other factor limiting the nature of the Russian response is the Russian military itself. While Georgian forces are vastly outnumbered by Russian troops, and were quickly expelled from South Ossetia by overwhelming firepower, the Georgians have received training in in urban combat from U.S. Marines as part of the preparation for their deployment last month to Iraq and Afghanistan. Georgia seems to have no shortage of Soviet-era equipment thanks to well-connected arms dealers in Ukraine. The present Ukrainian government has taken advantage of the Georgian crisis to once again bring up the future status of Russian naval bases in the Crimea. Russia has deployed its Black Sea squadron to enforce a naval blockade, determined to prevent any arms shipments from reaching Georgian ports. Meanwhile, the Russian army has only recently started to receive a trickle of more modern, post-1980s equipment, and all but the most elite units suffer from inadequate training budgets. The Russian Air Force, while quickly assuming superiority over Georgia’s tiny air force, does not have GPS or laser guided bombs to strike targets in Georgia without risking considerable damage to neighboring buildings. But there remains a difference between bombing select targets and levelling an entire city with free flight rockets. While America is not responsible for Saakashvili’s foolish decision to turn a low-intensity “frozen conflict” into a full-scale war, America has a duty to restrain its ally. As events on the ground this past week have made clear, without American and NATO support, Georgia has no hope of achieving anything militarily, it can only paint itself once again as a victim of the big bad Russian bear, and try to make the world forget that Saakashvili’s government provoked this response. 3. If ethnic cleansing on Russia’s borders is none of Moscow’s business, and should not result in a Russian military response against the aggressor, how can one explain NATO’s bombing and occupation of Serbia in 1999, a country that did not share a common border with the U.S. or other NATO members? History matters. The Georgian borders, incorporating South Ossetia, were drawn by Joseph Stalin (a Georgian by birth). South Ossetia has always been autonomous, with its own official language, culture, and budget during the days of the Russian Empire and the Soviet Union. Russian troops have maintained an off and on presence in South Ossetia since 1802. Immediately after the fall of the Soviet Union, South Ossetia declared independence from the Republic of Georgia and showed its desire to join the neighboring Russian region of North Ossetia. Both states are populated by the same people who share a common language, set of customs and history. Immediately after the break-up of the Soviet Union, Georgia and South Ossetia fought a war that ended in 1992 with Ossetia winning its de facto independence. The 1992 South Ossetian referendum turned out a majority for independence from Georgia where 99 percent of South Ossetian voters supported independence and the turnout for the vote was 95 percent. The referendum was monitored by a team of 34 international observers from Germany, Austria, Poland, Sweden and other countries at 78 polling stations. However, it was not recognized internationally by the United Nations, European Union, Organization for Security and Cooperation in Europe, NATO, and the Russian Federation. The UN continued to regard South Ossetia as part of Georgia. This “frozen” conflict has been building since Kosovo declared its independence and gained the international recognition, setting an international precedent for South Ossetia to completely breakaway from Georgia. John C. Wohlstetter discussed the 4 Painful Lessons of the War of Ossetia. Yuri Mamchur discusses the propaganda being thrown around by Georgia at the beginning of the conflict. Charles Ganske reveals that both McCain and Obama are dead wrong on Russia, and continued covering anti-Russian Georgian and American propaganda.